With the upcoming wedding in our family I was inspired to create a gift bag for the bridal shower. 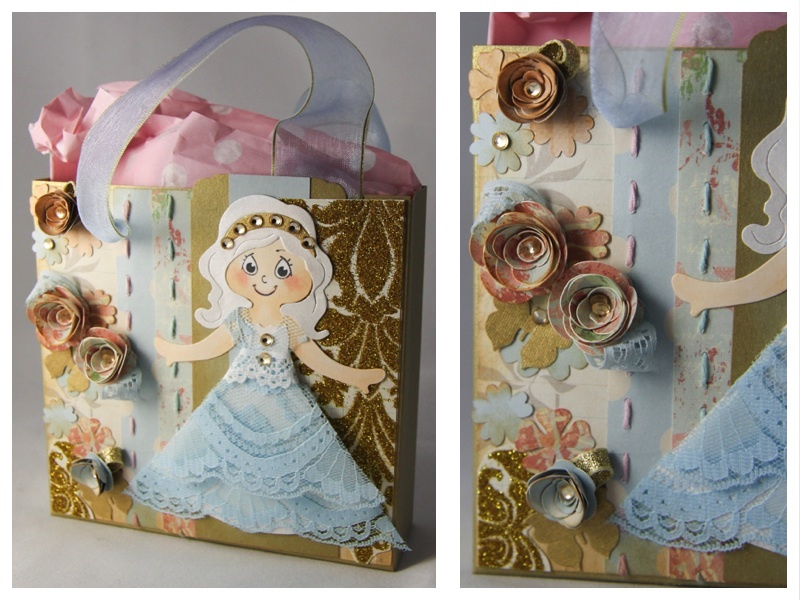 The theme, an elegant Cinderella design for the gift bag. To get the shape and size of the gift bag I used two sheets of A4 cardstock. Size both the cardstocks to 17.7cm in width and 16cm in length. Place the cardstock on the scoreboard. Score both sheets at ½ inch (1.2cm) as well as at 2 inches (5cm). When looking at the scored lines, the first narrow section forms the tab that will merge the front and back together. The mid section will form the sides of the bag and we will be working with this section next. Divide this section in half and score down 7.5 cm. Turn the cardstock 90 degrees with the tab edge facing the top of the scoreboard and score both sheets at 1 ½ inches (3.8cm). This will create the base of the bag. 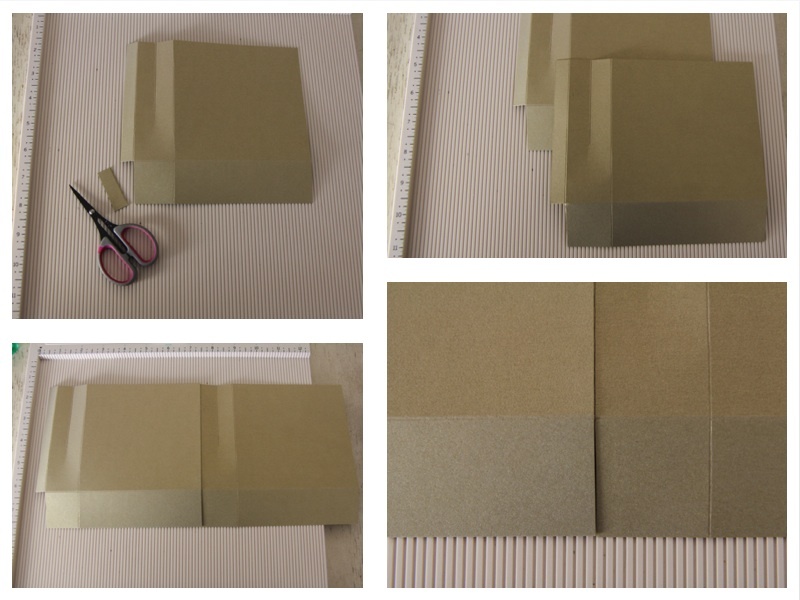 Cut out the smallest rectangle at the base of both sheets. 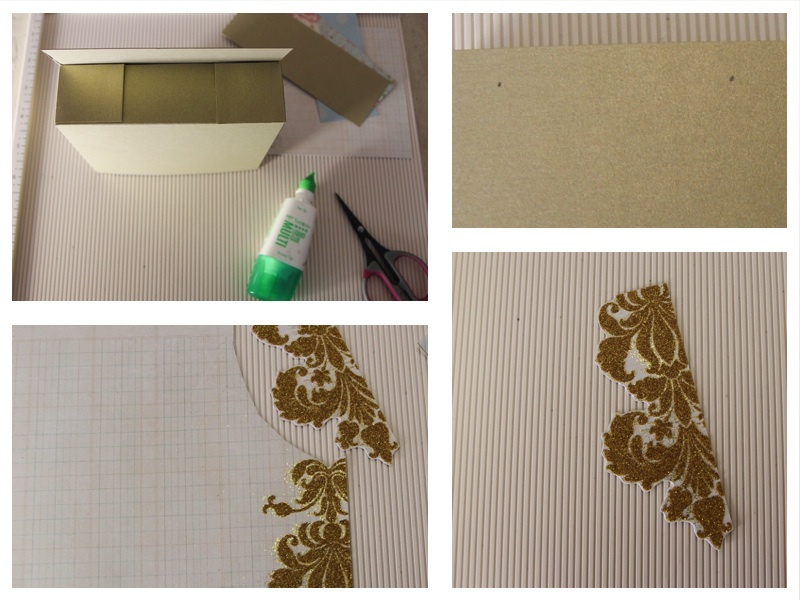 Apply glue to the first ½ inch tab and paste it to the cut edge of the corresponding sheet. Make sure to match up the score lines at the bottom of the base. This step is important when folding the base. 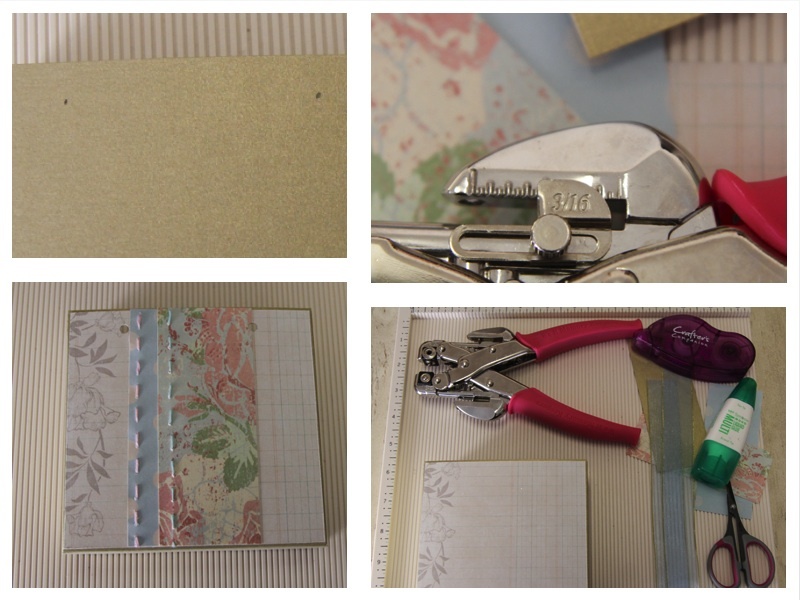 Apply glue on the remaining tab and paste to the cut edge; this will now form the bag. Paste the bottom tabs to create the base of the bag. Cut a square from decorative sheets of paper measuring 12cm x 12.5cm. Cut two equal size rectangles from patterned cardstock measuring 12cm x 5cm. 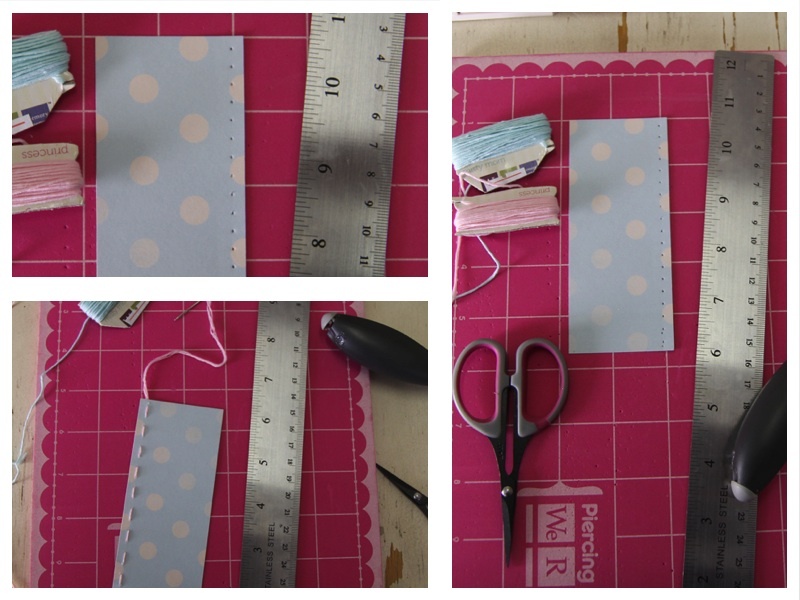 Cut one longer rectangle from the same cardstock as the bag measuring 12.5 x 5cm and round the top corners. 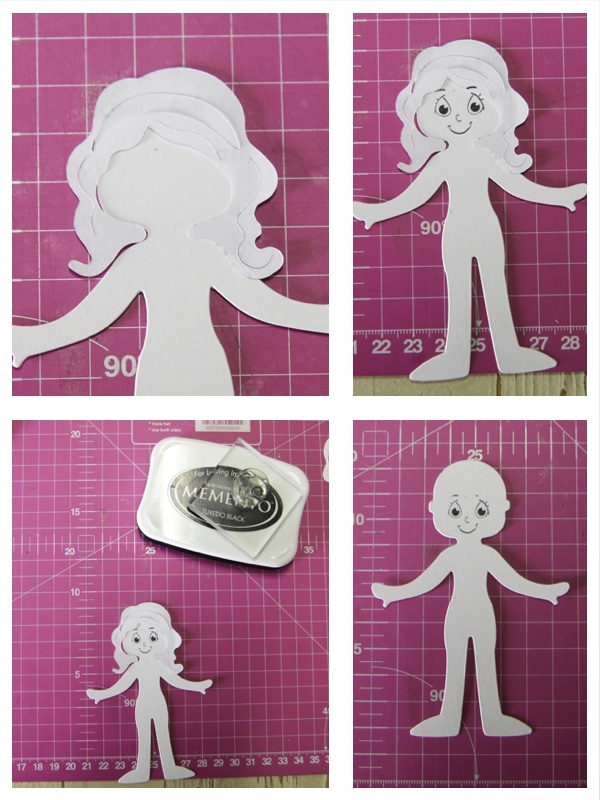 Use a piece of scrap cardstock, size it the same measurement as the box front. Use this piece to mark the placement of the holes need. This will be the punch guide. Cut out the glitter pattern. Use the Sew Easy stitch piercing tool to pierce a line of holes near the edges of the 2 decorative strips. Lace the sew easy floss through the holes with the needle provided with the piercer. 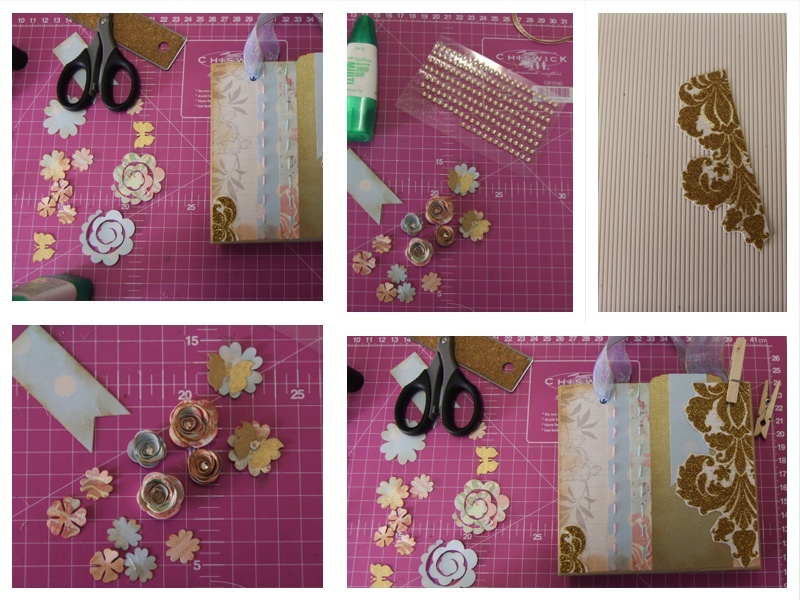 Paste the decorative cardstock to the front of the bag, decide the placement and paste the two decorative rectangles. Use guide to for the placement of the holes. 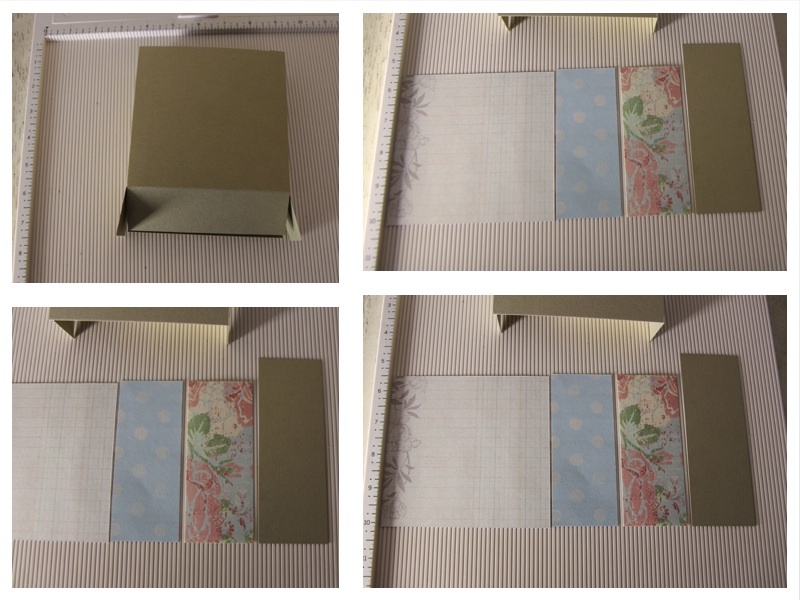 Place the guide in the inside of the box and punch holes in the front and back of the box. Thread through the ribbon front and back. Distress around the edges of the gift bag with the Tea dye distress ink. 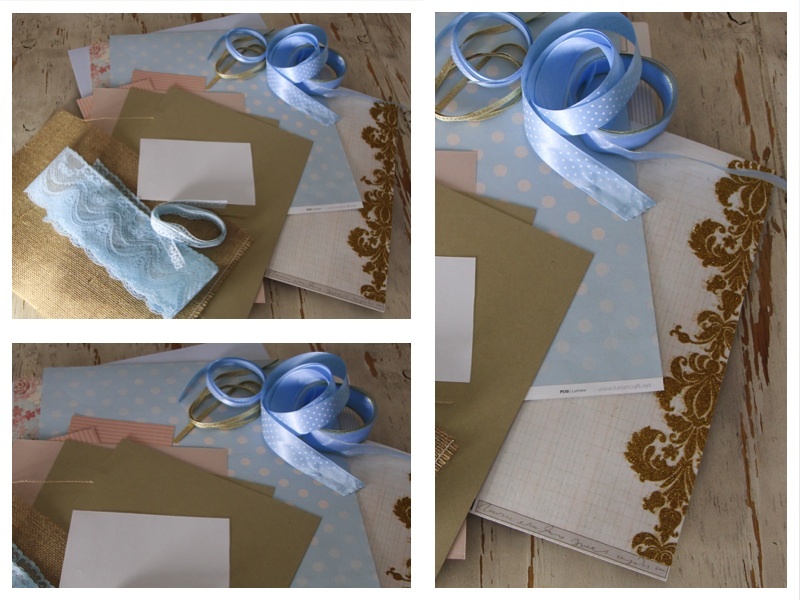 Paste the golden cardstock onto the bag; this will cover part of the ribbon. Because of the bulk I flattened the ribbon as much as I could and used pegs to hold it in place for a moment. I used flowers designs from the 5-petal flowers by Lori Whitlock, small rolled roses by Silhouette and one of the 6 banner design sets by Lori Whitlock with Silhouette Cameo. I used the distress ink to distress around the edges. 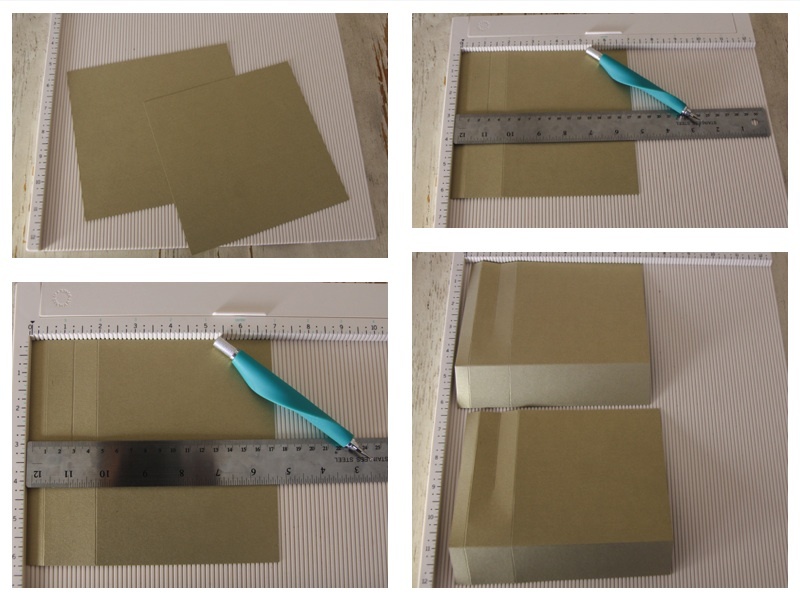 Paste the banner onto the golden cardstock rectangle. I used scrap pieces of a different shade of golden paper and punched a few butterflies. 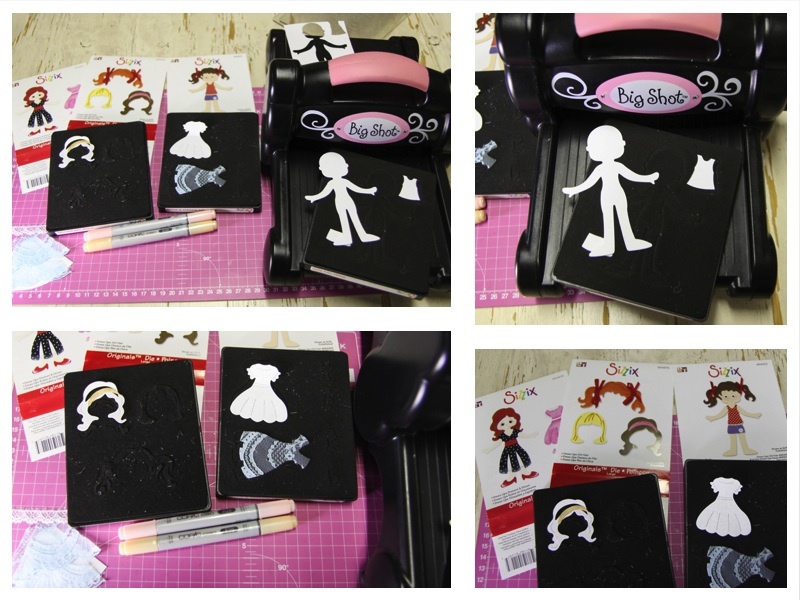 Paste the decorative glitter cutout on the side of the box. 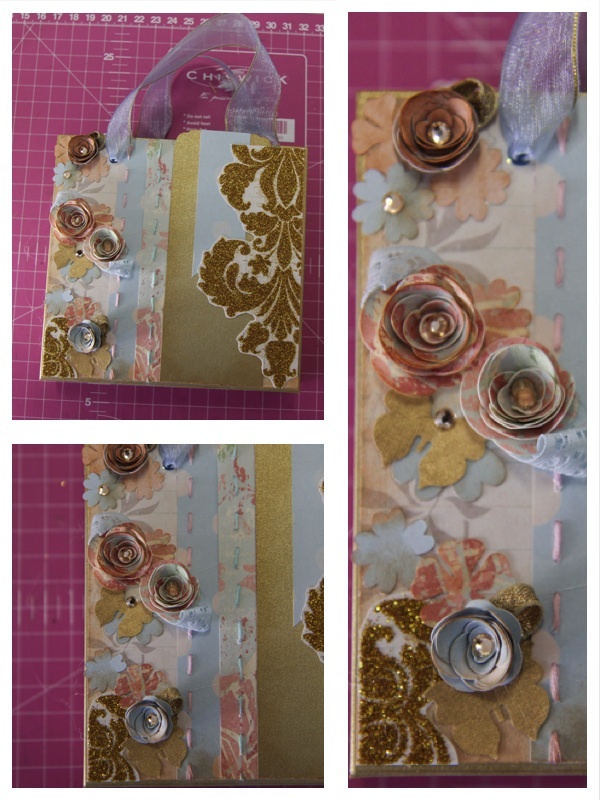 Decorate the roses by pasting rhinestones inside the centre. 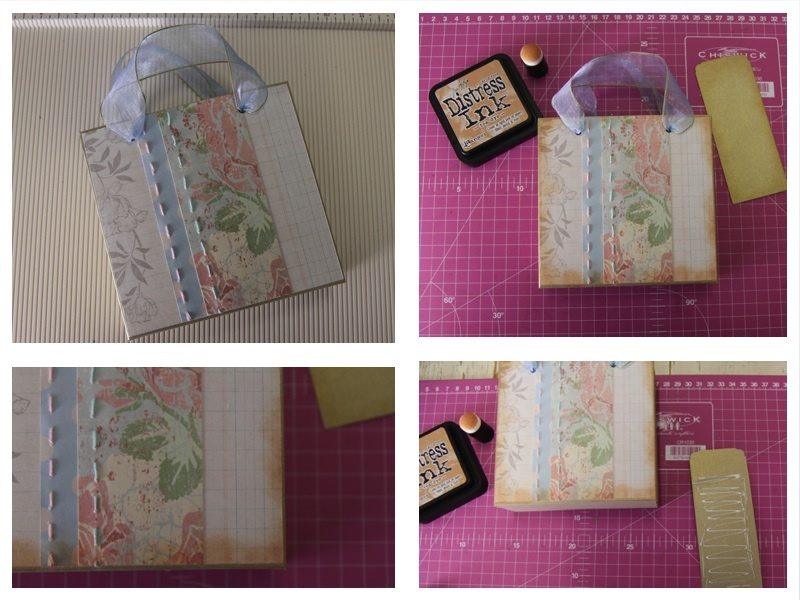 Play around with the rose/flower/butterfly layout on the side of the bag. 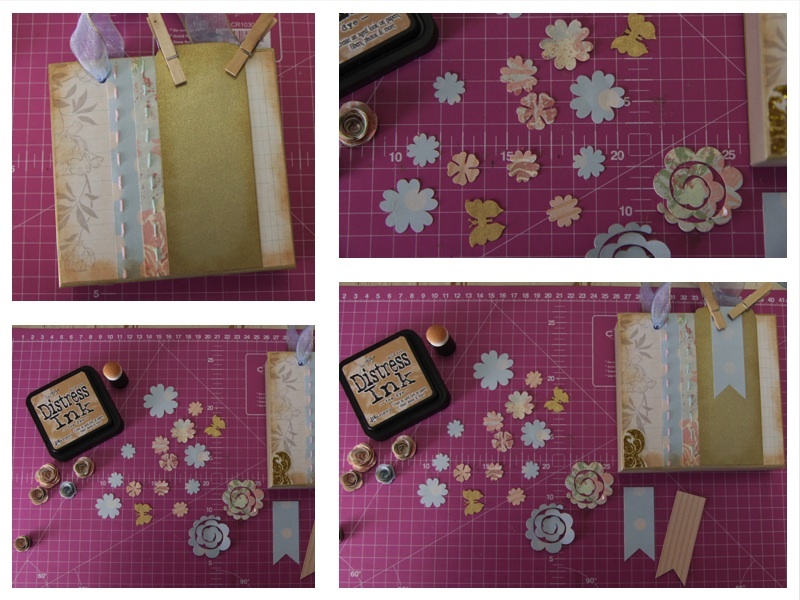 Once satisfied with the layout paste with the glue gun. 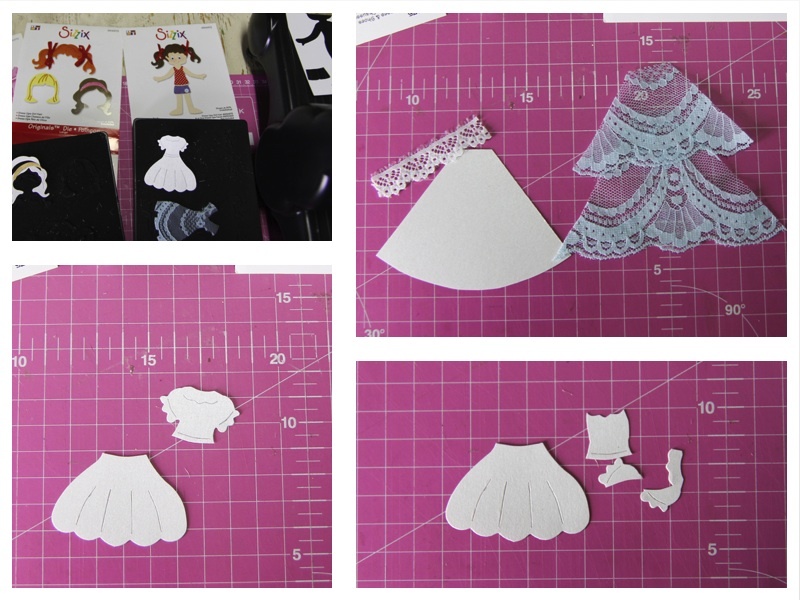 To create the Cinderella doll I used the Sizzix Bigz, Originals die, Dress up body, with the correspondent hair and dress. I wanted to colour the body with markers. I first experimented by cutting and colouring on the white metallic paper. This attempt was unsuccessful so I decided to cut the body from a sheet of my sketch paper pad (200gsm). The paper of the sketch pad felt very smooth with no tooth texture as some sketch pads have. The description of use of the paper also stated that markers could be used on the paper. Because the hair takes a large portion of the face and I did not want the hair to cover the dolls eyes. 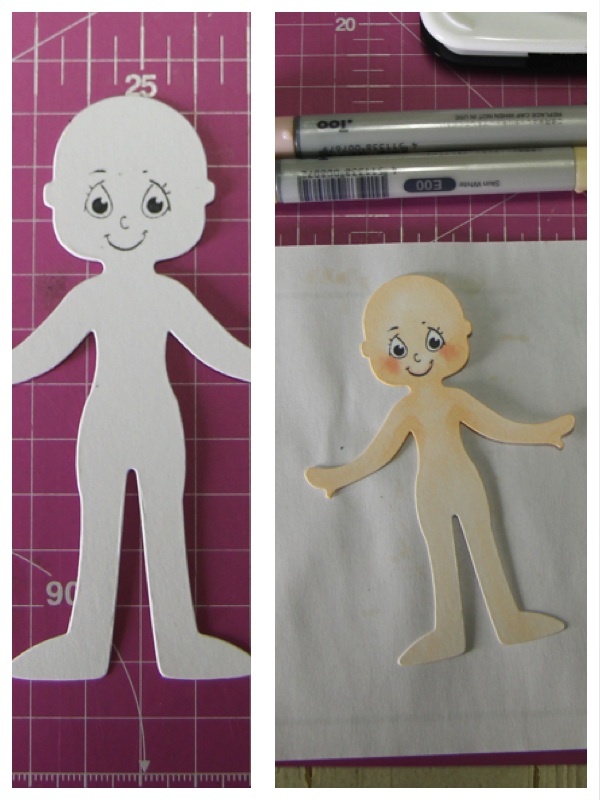 I first cut the hair from a scrap piece of paper. I then placed the hair onto the doll and I stamps the facial expression. I removed the test hair and started colouring the body with my Copic Markers. I more or less only colour very basically and did not include a lot of shading and dimension. I cut the dress and hair from Curious metallic paper (120gsm). 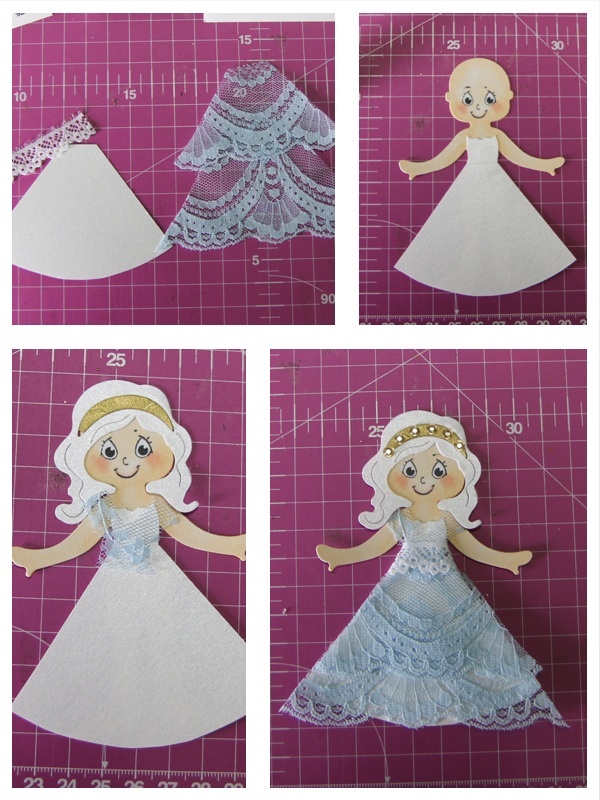 I used both dress designs found on the die, one from mettalic paper and one from blue lace, and combined them for the final design. Because I wanted a long ball gown I measured and cut a triangular shape from the metallic paper. I used this shape to cut lace pieces. I overlayed and pasted all the dress designs onto the body. I decorated the headband with rhinestones and wrapped a piece of lace border around the waist. 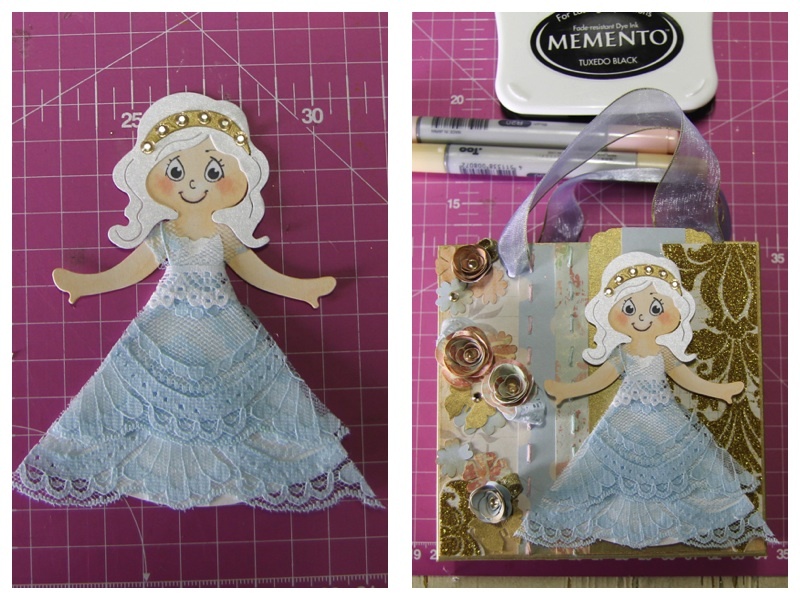 I carefully pasted the doll onto the bag, applying pressure here and there until the glue set.